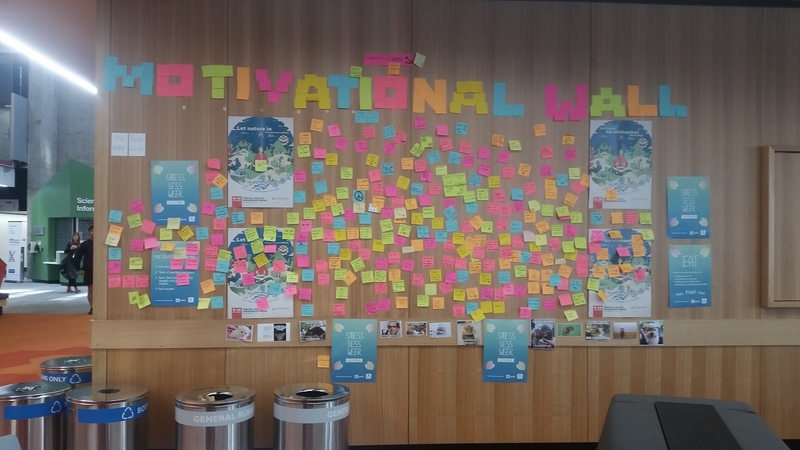 An example of how to do this is a shift from posters of classroom values on walls – to questions that make us think about these values. 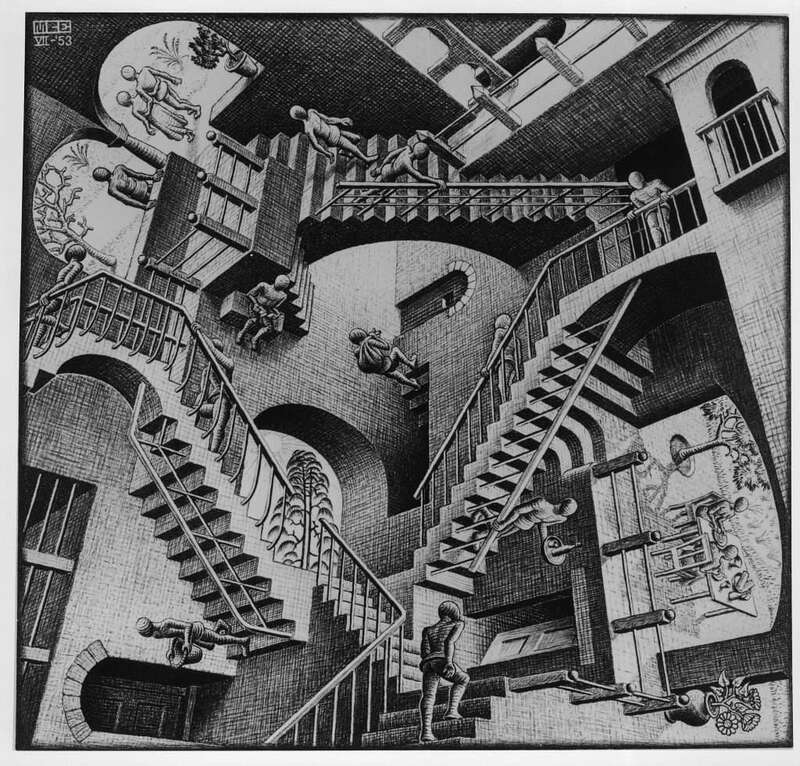 Other examples that can be found in some classrooms would be a map upside down or questions on wall (Welby gave a couple of examples here such as: Does time have a beginning and an end?). If we combine open texts as well as closed texts in the classroom it enables the space to operate without the teacher necessarily there – which is a major implication for learner agency which many schools are talking about at the moment. In comparison to other countries, NZ classrooms have been heavily influenced by socialised learning since the 1940’s. Think images of NZ kids around tables, US kids sitting in rows. This has obvious benefits as we develop students’ abilities to collaborate etc. but also can have a negative impact on students who get upset at being distracted or who operate best in quiet spaces, working on their own. Major links here with Mihaly Csikszentmihalyi’s ideas of flow. You can often see people being creative as they try to achieve this through plugging in headphones or finding quiet spots away from where others may distract them. A haunting from this part of the keynote was How can space enable both of these ideas to operate? 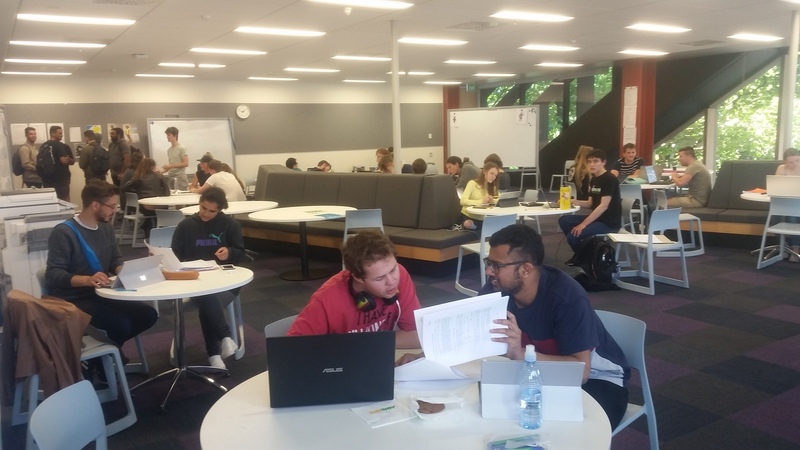 The drop in tutorial centre in the Science building at University of Auckland was full of students revising together for their exams. The new building at Newmarket School had great examples of enabling both of these types of learning to occur. Plenty of socialised learning occurring throughout their learning spaces and also some students working away in breakout rooms where they could focus easier. Discussions around this always remind me of Matt Ives using tents and signs in his classroom to help students create that sense of low. Many great conversations were prompted over the day by this point from Welby Ings on the spaces we occupy as transit zones vs the spaces we truly belong in. Rooms that give no sense of you in the space do not give us a sense of belonging. Classroom/learning space wise think of both a blank class of rows but also new ILE spaces with no display areas for learners to mark their space. 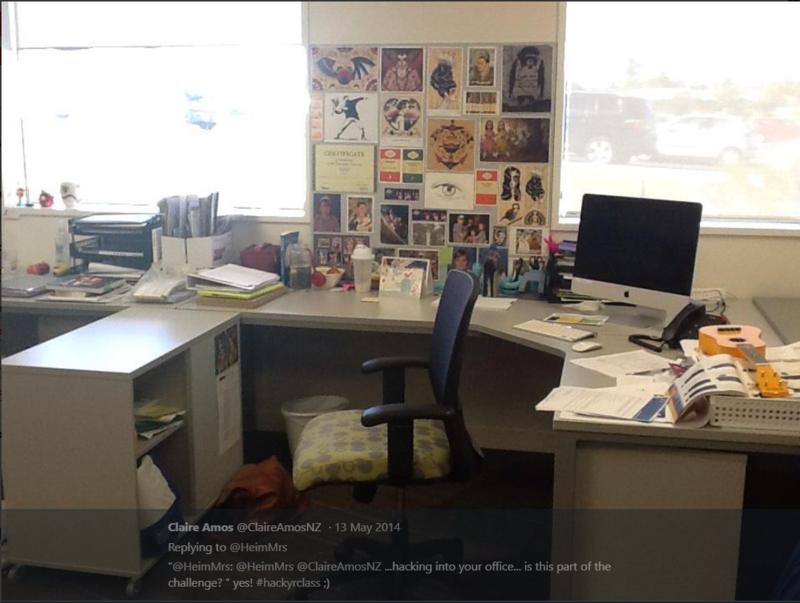 In our day to day lives we have all seen work pods or office spaces where people have put pot plant, pictures etc. on their little screen areas behind desktop computer. Claire Amos always created a great sense of her around her desk! We do this in our living rooms, man caves etc. How do we enable this in learning spaces? These themes flowed throughout the rest of the day but other themes of discussion also emerged. We shift from secret stories of teachers to honesty by removing the walls in ILE but that doesn’t necessarily guarantee innovation in learning. The mindset of the people within is more important than the flash space – it is actually quite easy to get the space and operate in the same ways. A shift in practice requires a shift in the identity of the teacher (and culture of the school – more collaboration etc) We need to help teachers navigate this. One conversation that I had with a governance expert explored the role of ongoing PLD. He was helping with a 2 year project of pd to help teachers with the change in ways of working that the school was aiming for in it’s rebuild. Further examples then emerged of organisations and schools that were looking to start the shifts in practice before the build, so they are desperate for the new building rather than waiting/fearing to start. The NZC principles were shared by Noeline Wright as a great vehicle to disrupt “the way we do things around here”. From here she emphasised the importance of iteration and argumentation, refining process, permitting experimentation to innovate from a traditional model of education. Schools are traditionally organised on group factors, now we are starting to think about how we cater for varying individuals. This highlights the importance of mobile, flexible and multipurpose learning spaces and furniture and fittings within. This allows the space to fit new models of learning and different teachers can set up how works for them and their classes. It also allows for evolution and experimentation with this. I even got to see how the University of Auckland has explored this by creating multi-purpose labs in their new build. A great example of how to check that you are accommodating diverse learners was shared in the Panel at the end of the conference: Walk through your learning environment as different personas (think different ethnicities, students in wheelchairs, someone with ASD etc.) and see how inclusive it is. Do the spaces allow for you to move easily through, have a sense of belonging, provoke great thinking? Buildings are not like jackets (it will be around for 50 years+), so how do we make it sustainable? What really matters in a learning space? How prepared are you, your staff, your community, your children? Are you all speaking the same language? Nothing without joy – what are you doing to ensure it is joyous? P.s. one final haunting for me from the day. 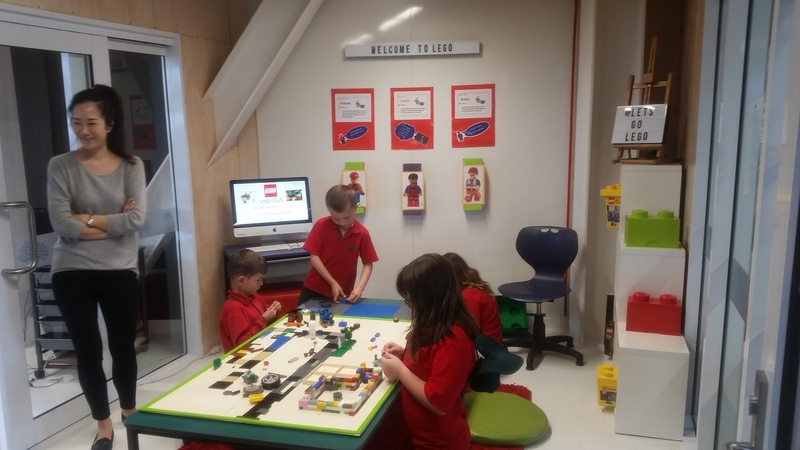 How awesome was this Lego Room at Newmarket School!? This entry was posted in Uncategorized and tagged belonging, classroom, design, diversity, flow, ile, inclusive, learning design, learning environment, learning spaces, mle, pld, professional development, professional learning, provocation, socialised learning, thinking by stevemouldey. Bookmark the permalink. Ashburton College ….piloting and experimenting now, starting with learning principles (NZC, OECD ), developing practice and understanding….. Our Innovation Project Ashcoll creating the conditions to support pedagogical change ahead of rebuild in several years’ time.